Not sure how to publish your book? This guide will hopefully help. - Laceys Solicitors Laceys is a leading, forward-thinking law firm with specialist experts serving both individual and business clients across a broad spectrum of practice areas. You have your book written, but what next? The world of publishing can be confusing so we hope this brief guide will help you decide what’s best for you. Print-on-demand (POD) publishers accept all submissions from writers who are willing to pay is published. 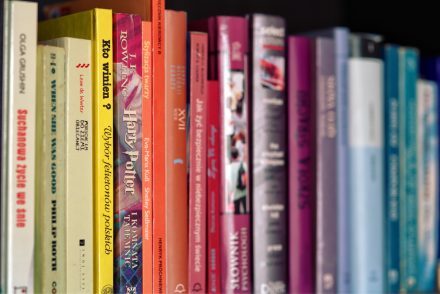 POD publishing uses printing technology to print books individually as orders come in through a company at a cost-effective price, enabling you to adjust the book’s supply to meet the reader’s demand. POD publishing cuts back on costs and eliminates the need for space to store unsold copies. Typically editing, proof-reading, or marketing is offered at an additional cost and you make money off of royalties from sales. In terms of rights, some can go to the POD publisher for a set amount of time but this varies depending on the publisher. CreateSpace and Lulu both offer this service for free. They will get your book listed on sites where stores can purchase it, and will also get the book listed on Amazon. They will not guarantee that it will sell though and nor do they give any assurances the bookstores will purchase it into stores. You can edit and design a book cover on these websites too, but at an additional cost. You can edit, proofread, create a cover and then market your book, however, this is a huge time commitment and remember, people do ‘judge a book by its cover’, so you may be better enlisting some help if you can afford it. Every author needs a good editor, which could come at a cost of £1,000. Add the cost of a designer for an eye-catching cover, and someone to oversee the marketing and she estimates that the total cost of a professionally produced book, either digital or on paper, could be between £2,500 and £5,000. There are self-publishing publishers that, for a fee, can assist you with this. 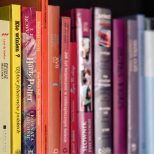 You also need to decide whether to publish only e-books or include printed versions (hardback and softback editions) as there are cost implications to both. Then you need to consider the price point. For example, if it is an e-book do you price it above or below the £2 threshold? On Amazon Kindle Direct Publishing (KDP) if you price your book below £2.99 they take 65% of the sale, price above that threshold and this is reduced to 30%. A Vanity Publisher, also known as a book manufacturer, publishes anyone’s work provided they have the money to pay for their services. The manufacturer prints and binds a book at the author’s costs and does not offer editing, marketing, or promotional assistance. However, the author owns the printed books and retains all profit from sales. The problem with vanity publishing is there are a lot of them and you can end up paying more on fees than you will make back on book sales, in addition to you having to spend a lot of time in editing, marketing and promotion. A Subsidy Publisher is similar to a Vanity Publisher in that the author has to pay for the printing and binding process of the book. However, this type of publisher contributes a portion of the costs to editing, distribution, warehousing, and marketing. In this case, the publisher owns the books until they are sold and the author makes money from royalties. Traditional Publishing is when a publisher offers the author a contract and, in turn, prints, publishes, and sells your book through booksellers and other retailers. The publisher essentially buys the rights to publish your book and pays you royalties from the sales. They do not ask for money upfront for any costs but do take a royalty. This, of course, is the “Holy Grail” and what most authors hope to achieve. If you are fortunate to be offered a Traditional Publishing deal with the larger, well-established publisher (subject to negotiation via your agent or solicitor, of course) – well done. They might not promote the book as much as a larger publisher could. They will expect you to promote and market the book through social media and book signings. They will take a royalty percentage like the larger publishers, and you are left with whatever remains. The advantage of Traditional Publishing is that you will get the artwork for the book cover included but you will have little say in it. The publishing house will also want to recoup the costs back before they give you any money, however, some publishers will give advance monies on sales. In order to find a Literary Agent, you must identify the right category/genre for your book. For non-fiction writers, you will need to submit a book proposal book with three sample chapters, and a synopsis of each chapter. If you are writing fiction, you must have your manuscript complete. Once completed, you are ready to write a Query Letter. This Query Letter is what you will send to potential Literary Agents. You should be sure to mention the synopsis of your book, the chapter summary, the market or audience your book is meant for, and a description of yourself, the author. Literary Agents charge 15% on all domestic sales and 20% on foreign and sales of film & TV rights. The key to Literary Agents, like any contractual relationship, do your homework first to make sure they are legitimate and right for you.